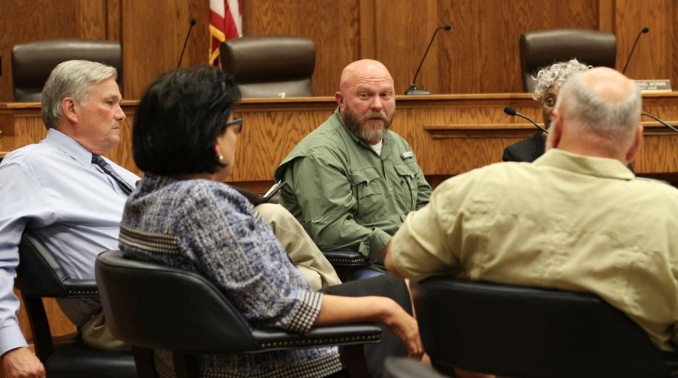 Smith County, TX – Officials question risk assessments in pretrial release. Judge Christi Kennedy, who presides over the 114th District Court, called bail reform “probably the hottest topic in criminal justice right now.” She said options besides cash bail present problems. She said some advocates of cash bail reform favor using an assessment tool to determine whether a defendant is at risk of reoffending or not showing up for court. That’s a flawed idea, she said. “The problem is, who are you going to blame when the assessment tool says let this person out and the person then commits a capital murder or a sexual assault of a child or never comes back to answer for the charges?” Kennedy asked. “What are you going to do, say, ‘Well that’s what the assessment person said’? The assessment is probably drafted by a bunch of experts and they figure out what questions to ask on the assessment,” Kennedy said. “Not only who are you going to blame, but how are you going to explain it when you say, ‘Well, the piece of paper told me that they were a safe person to be out, and so they’re out,’” she said.